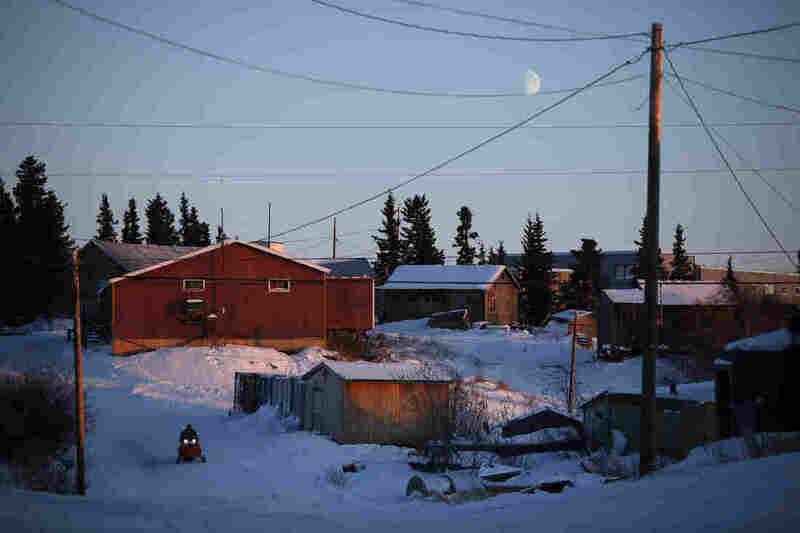 Why The 2020 Census Is Starting In Toksook Bay, Alaska The 2020 census is set to begin in Toksook Bay, Alaska, continuing the tradition of counting the most remote parts of the most northern state before the rest of the U.S. 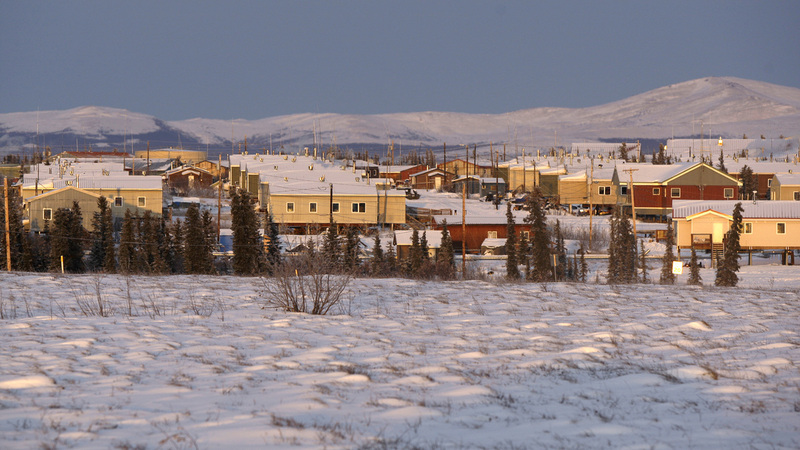 The moon hangs low in the sky over the remote Inupiat Eskimo village of Noorvik, Alaska, the first community in the U.S. counted for the 2010 census. Ever since Alaska joined the union as the 49th state in 1959, the most remote parts of the most northern state have gotten a head start on the national head count. The tradition is set to continue with the 2020 census, which is kicking off next Jan. 21 in southwest Alaska's Toksook Bay. The small village on the Bering Sea has been selected as the first community to be counted for the census, the Census Bureau announced in October during the annual convention of the Alaska Federation of Natives in Anchorage. "We look for villages that are off the road system as a place to start the census here in Alaska," explains Carol Gore, a self-described "forever Alaskan of Aleut descent" who chairs the Census Bureau's National Advisory Committee on Racial, Ethnic and Other Populations. "When the ground is frozen"
For most households in the U.S., the bureau is planning to start mailing out forms and letters for the upcoming head count a few weeks ahead of April 1, 2020, the official Census Day. In rural Alaska, however, the mail system can be unreliable. More than 80 percent of communities in the state are not connected by roads or highways. One of the bureau's latest census innovations – an option to fill out an online questionnaire – throws another "curveball" at what's known as Bush Alaska, adds Gore, who also heads the Cook Inlet Housing Authority in Anchorage. "There are vast areas of Alaska that don't have good internet connection," she says. "They may have one computer in their community, and that's at the school." For the 2010 census, the Census Bureau director took a dog sled to complete his trip to Noorvik, Alaska. To meet the constitutional requirement of counting every resident, the bureau has learned that the key in remote Alaska is to have snow boots on the ground. Census workers have to be deployed months ahead of Census Day so they can knock on doors before the snow and ice are melting during the spring thaw. "The best time to get to those communities is usually in the winter, when the ground is frozen [and] when you might have more than one means of travel," Gore says. "Often it's a combination of dog sled or snow machine travel or bush plane to get into a community." While Alaska tops all of the states in terms of area, it ranks among the least populated with just over 710,000 residents living on more than 586,000 square miles of land, according to the 2010 census. Any shift in its population directly impacts how many congressional seats and Electoral College votes – as well as how much federal funding – the state receives. Its longtime champion on Capitol Hill, the late Republican Senator Ted Stevens, pushed to make sure every Alaskan was counted, recalls A. Mark Neuman, who served as the Census Bureau's director of congressional affairs during the lead-up to the 1990 census. "He wanted to impress upon us the importance of doing things differently in Alaska," Neuman says. "'One size fits all' did not apply in terms of the census to Alaska. That was the message from Senator Ted Stevens." For the first census of Alaska's statehood in 1960, the bureau trained school teachers by mail so that they could start conducting the census in their villages as early as January. Later, the bureau started hiring other local residents as census workers in what Neuman says was once considered a unique approach. "To make sure that the person knocking on the door for the census looked like and sounded like the person answering the door, that's how you get an effective count, a full count in the hardest-to-count communities," he says. 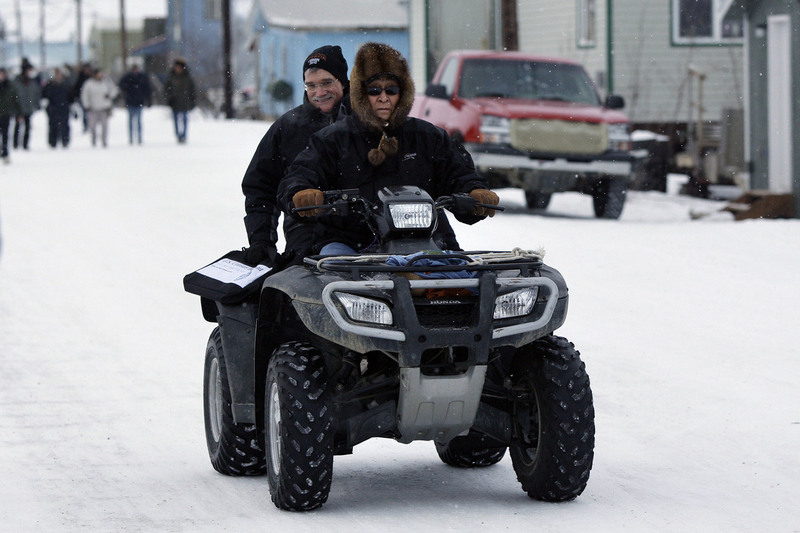 Hendy Ballot, the then-tribal administrator for the village of Noorvik, Alaska, drives Robert Groves, who headed the U.S. Census Bureau, to the home of Clifton Jackson, the first person to be counted for the 2010 census. "The luckiest people in the world"
In Toksook Bay, that will mean hiring workers who can speak the local Alaska Native language, Yup'ik, says Robert Pitka, tribal administrator for the Nunakauyak Traditional Council, which governs the Nunakauyarmiut Tribe of Toksook Bay. Pitka says he expects to see a bump up from Toksook Bay's 2010 population count of 590. That could bring in more federal funding for education and other public services in the village, which is made up of about 130 homes. "We have young families, and because our size is growing, there is more need in the village for housing," he explains. "Housing is very important." Still, whatever changes the 2020 census will show, Pitka says he hopes the people of Toksook Bay will continue carrying on the traditions of their ancestors, who settled in the treeless, desert-like Alaskan tundra. "They survived for thousands of years, and we are here today because of them," he says. "When you look at the world and all the starving and suffering, I would say the Eskimos are the luckiest people in the world because we can survive off the land." For Diana Therchik's family, surviving in Toksook Bay requires spending summers fishing. "Each family fishes for herring, and once gutted, we braid them with grass and hang them to dry," Therchick, a lifelong Toksook Bay resident, explains. "That will be one of the staple foods for the whole winter." Unlike in some other rural Alaskan villages, Therchik says she and her neighbors in Toksook Bay can go fishing and hunting near their homes, and families don't have to migrate. That will help make the job easier next year for census workers, who have to count residents at the addresses where they usually live. "I should be here," says Therchik, who serves as the operations manager for the local health clinic. "If nothing happens to either you or me," she adds, interpreting a common Yup'ik farewell into English, "we will see each other again someday." And if that day is next Jan. 21, it will be during the start of the 2020 census.